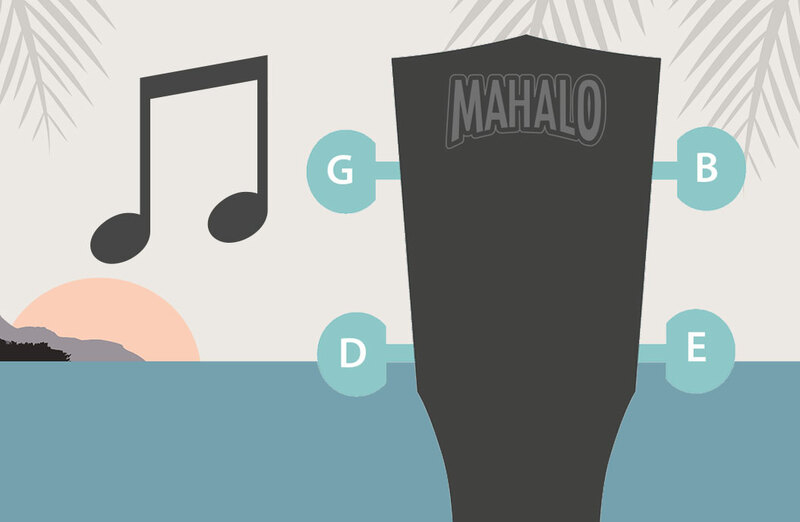 Chord diagrams are quite easy to understand. 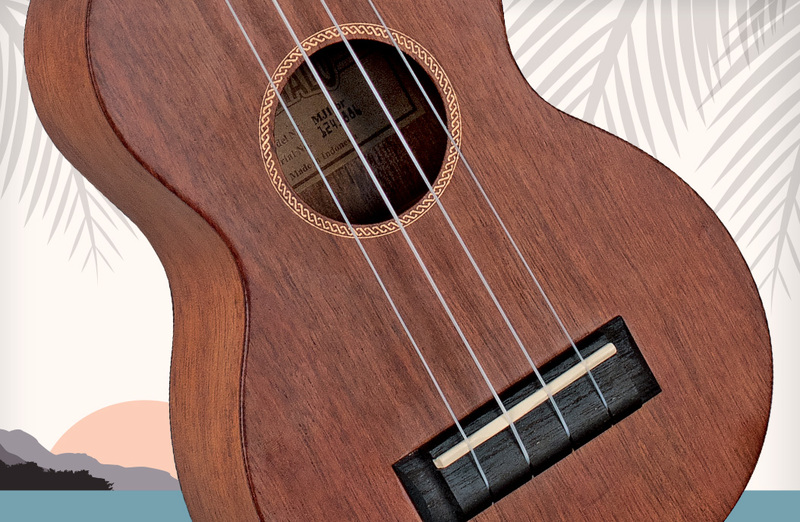 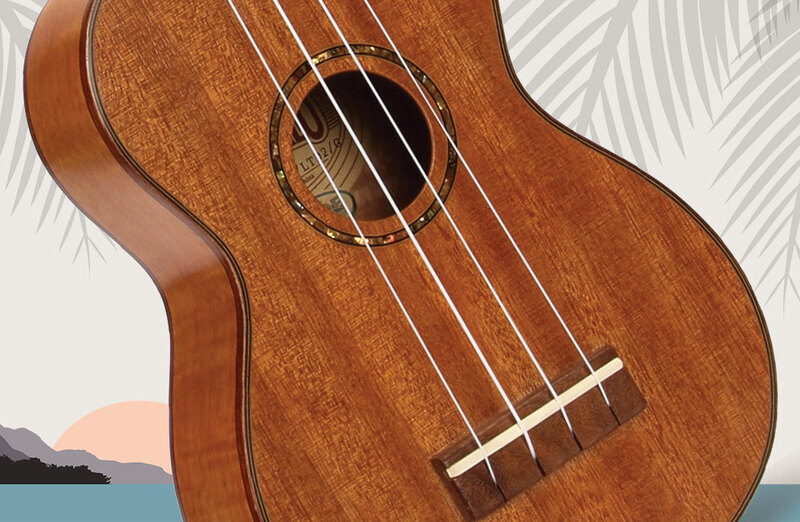 Imagine you are looking at a ukulele fretboard with the headstock at the top. 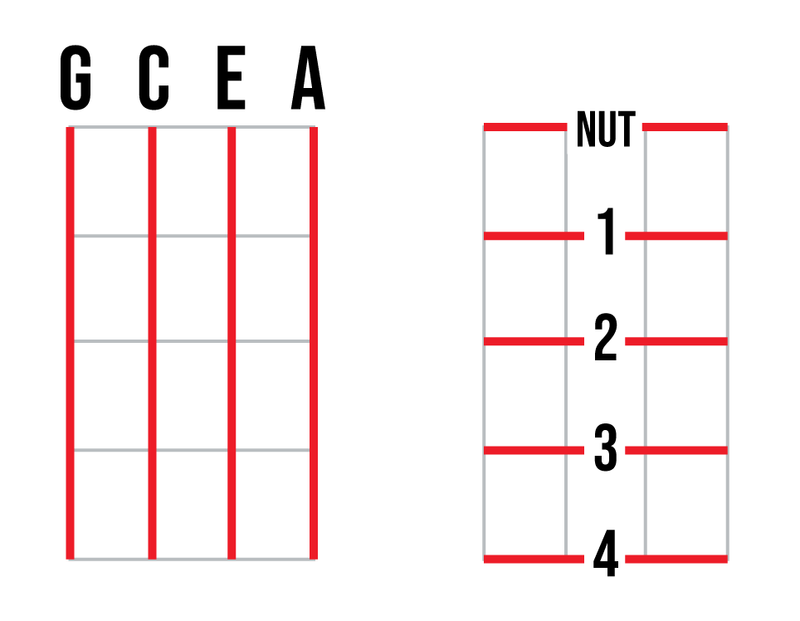 The strings are illustrated as vertical lines (from left to right G C E A string) and the frets are the horizontal lines with numbers to signify each fret. 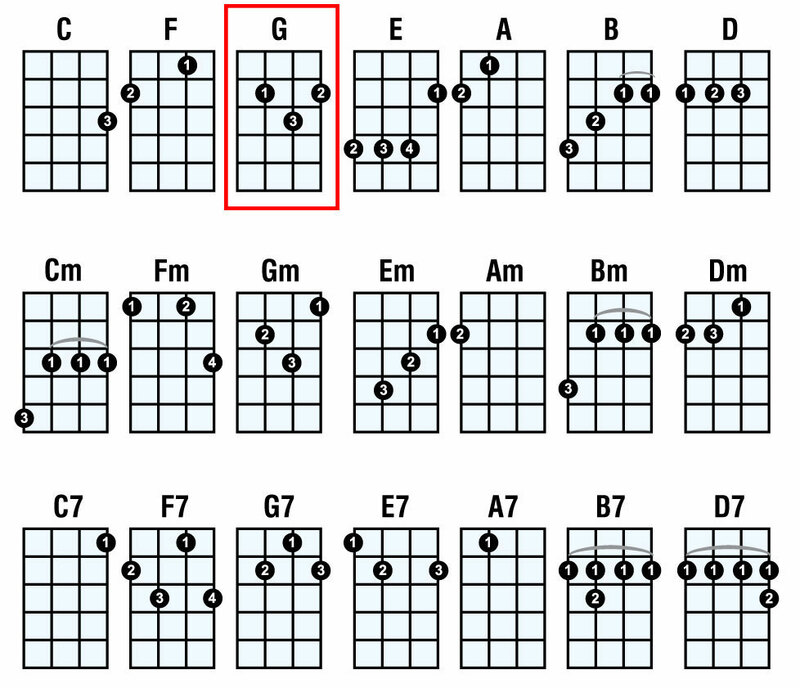 In the example on the left a G chord is shown. 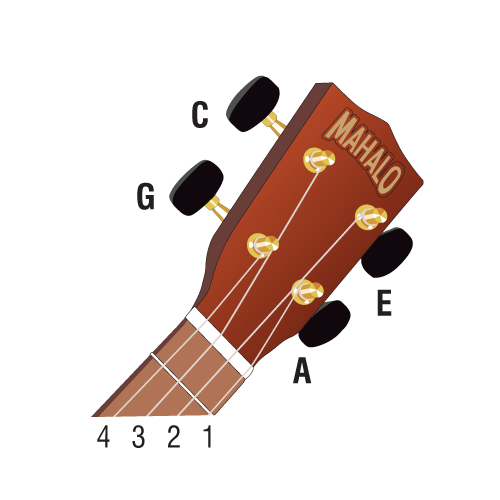 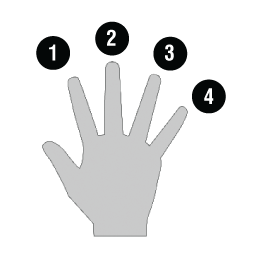 To play the G chord you place your 1st finger on the C string at the second fret, your 3rd finger on the E string at the third fret and your 2nd finger on the A string at the second fret.